What's small, has four cylinders the size of golf balls and can do 98 MPH like a screaming banshee at 12,000RPMS? Yep, its the infamous CB350 Four. A joke between engineers?, A lost bet?, an ego trip? Rumors run wild but the fact is that from the spring of 1972 to the end of 1974 Honda dealers had two 350cc bikes they could sell you. Most folks opted for the $800 fun, safe, friendly nimble 350 twin, But back in a dark corner, for a whopping $1,100 they had an engineering masterpiece for those who knew what SOHC stood for. The baby brother to the CB750 Super Sport... The CB350F. My last, most favorite un-restored 1973 CB350F with less than 5,000 Miles is FOR SALE!! I purchased my first CB350F as freshman in college. I paid $350 for the bike (with title no less!) and it got me to and from campus nicely. I also found a new phenomena in that it acted as a magnet for women who saw me as something more exotic and dangerous (but not too dangerous, because it was just a Honda!) than I ever would be. I cant count how many girls I took for rides screaming up and down the central Texas hills, all I can say was I was hooked. 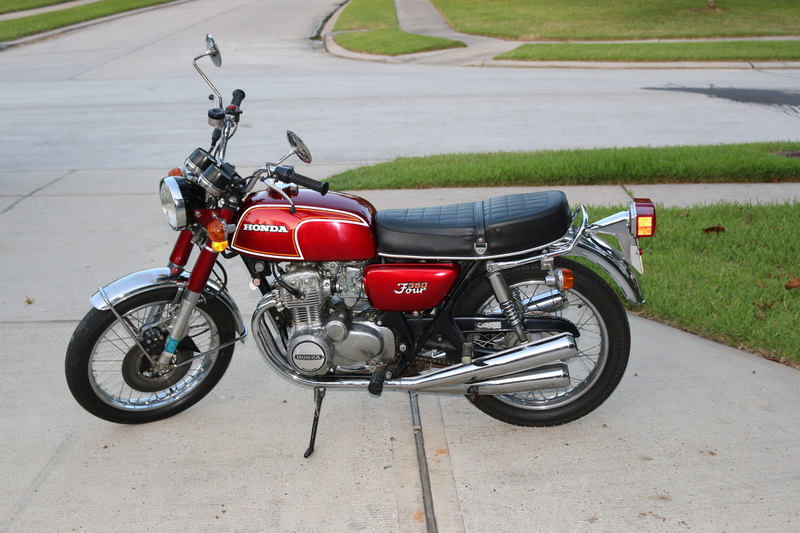 I've owned 5 or 6 CB350Fs since then and as my motorcycle days are coming to a close, with this website, I fondly pay homage to a bike that was smaller and slower but no less cool than any of my other bigger crotch rockets, touring or cafe bikes, the humble CB 350F.